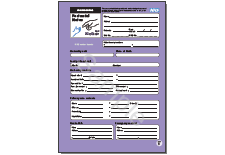 This site has been set up as a resource to complement the Postnatal Notes. The links below will guide you to specific information on selected aspects of the notes and a link to an on-line version of the Birth to Five Book. We welcome your feedback about the Postnatal Notes. Please e-mail us at notes@perinatal.org.uk.